Zimbabwe’s fish exports volumes declined 12 percent between February and April 2018 from the prior comparable period due to high business costs, official figures from the Livestock and Meat Advisory Council (LMAC) show. Commercial fish farming (aquaculture) in the country is still a small industry with only a few commercial farms currently operational. There are about six commercial fish farms with their own hatcheries in Zimbabwe, namely Lake Harvest Aquaculture (Pvt) Ltd (Kariba); The Bream Farm (Kariba); Mazvikadei Fish Farm; Clairmont Trout Farm; The Trout Farm, and Inn on Ruparara Trout Farm (Nyanga). Fish is a major source of protein and is on high demand locally and on the global market. The latest statistics show that Zimbabwe’s exports of fish between February and April 2018 were 437 tonnes, at a value of $1,14 million. This represents a decline of 12 percent and 6 percent in quantity and value respectively when compared to the same period in 2017. LMAC has attributed the reduction in exports to increases in the cost of doing business. “The persistent increases in the cost of doing business have decreased the country’s competitiveness in export markets with cost of fish feed often cited as a major cost driver in farmed fish,” said the Council. Although Zimbabwe jumped two places to 159th position on the latest World Bank’s Ease of Doing Business ranking, its output is still less competitive compared to Sadc peers such as South Africa, Zambia, Angola and Botswana. Zimbabwe has a generally high cost of borrowing, significantly higher than its regional counterparts, which is rendering the country’s products uncompetitive in regional trade. Other factors affecting the cost of doing business include an infrastructure deficit as well as limited access to credit markets. Commercial aquaculture in the country mainly has to do with two species: Nile Tilapia (Oreochromis niloticus) and Rainbow Trout (Onchorynchus mykiss), which to some extent necessitates the country to import various other species of fish. According to the Food and Agricultural Organisation (FAO), Zimbabwe’s national potential demand for fish is estimated at 60 000 tonnes per year and with a total production of approximately 20 000 tonnes, thus there is an estimate deficit of 40 000 tonnes. The deficit would have to be satisfied through imports or increased supply. For the same period under review, Zimbabwe’s fish imports declined to 3 314 tonnes, a 35 percent dip from the same period last year. In value terms total imports were $4,1 million which was 24 percent down over the same period in 2017. Zimbabwe traditionally imports more fish than it exports, thereby usually incurring trade deficits. The bulk of Zimbabwe’s imported product originates from neighbouring countries like South Africa, Mozambique and Namibia. Policies governing the development, control and management of fisheries locally are embedded in the Parks and Wildlife Act (Chapter 20: 14) of 1996. The country is yet to develop a dedicated, stand-alone fisheries and aquaculture policy framework. 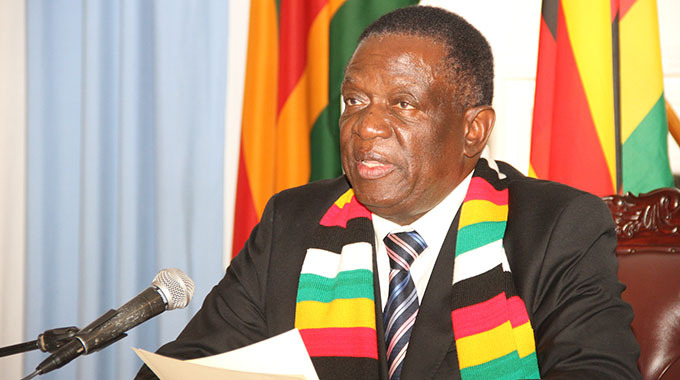 Following a successful Command Agriculture programme targeting maize, Government announced the programme will be expanded to include fisheries, wildlife, livestock and wheat among other farming activities to ensure sustained national food security.